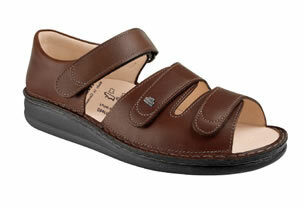 Highly functional open-toe/closed heel model with 3 adjustable straps for a snug and secure fit. Unrivaled comfort and orthopedic support. Removable cork/latex footbed is hand-washable. Exceptionally flexible and durable polyurethane soles. Leather lined.